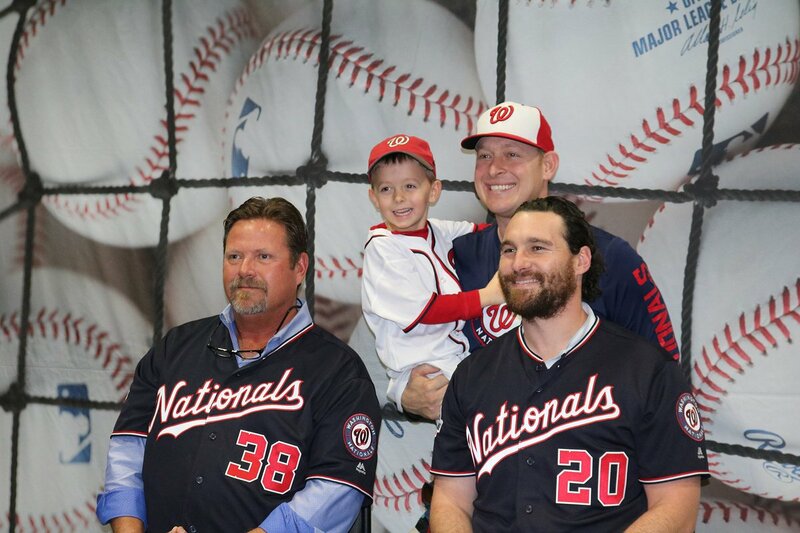 What "cheap jerseys" would Walmart or Target carry other than MLB licensed ones you would also find at Nats Park? You guys are trying way too hard to hate. It looks sharp. These would be nice without the number. Actually, all of the jerseys would look much better without the number on the front. Are these replacing any of the others? I find it extremely difficult to have a strong reaction to these jerseys, one way or the other. Pretty much. They have about as much character as a powerpoint presentation. At least they don't have a) a vest, b) stars and stripes, c) camouflage, or d) pinstripes. 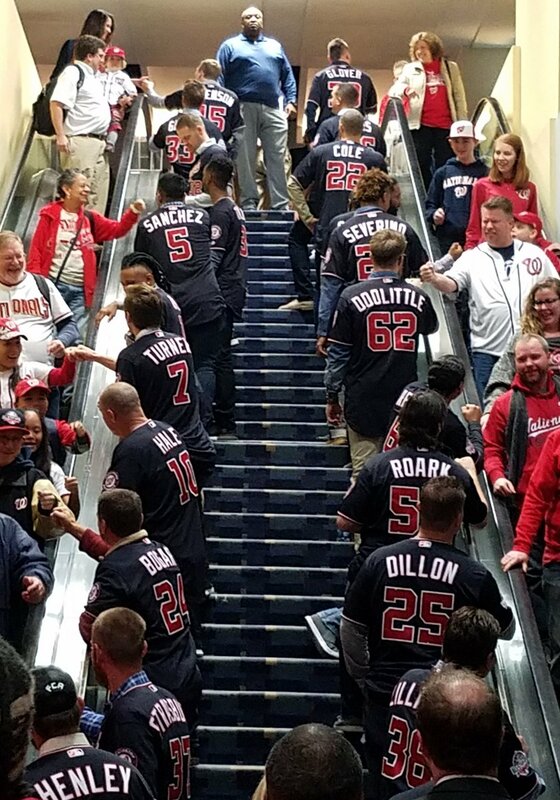 Pretty cool idea to have the players on the steps and the fans goin' by on the escalators. Good to see Koda on the top step. That way he won't get injured walkin' up and down the steps. Well, I think they're great. Having the players line the steps as all of the folks came down was pretty amazing. Everyone was way into it. Getting high fives and Fist bumps all the way down. 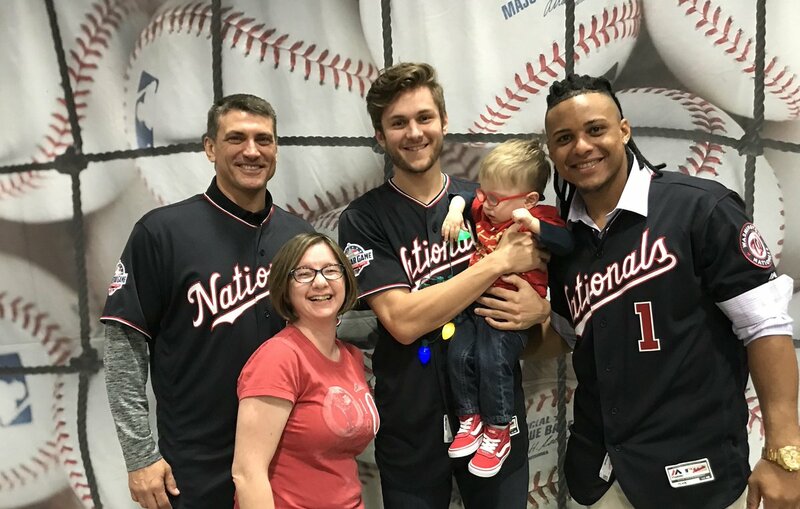 I think I took your picture with Trea holding the little guy. These jerseys with red batting helmets is not a good look. We look like a 10U travel team. Hey, if they're wearing the new uni's that means they aren't wearing the tacky stars-n-stripes ones so that's an improvement in my book.